Everything you ever wanted to know about subnetting and masks, also a few things you didn’t want to know, too. Some of you have probably heard of the term subnetting and some of you may even know what it is. There are statistics that show if you have heard of subnetting, then there is a larger-than-not chance that you also have no life. This post will assume that you have not heard of subnetting and have no idea what it is (and that you lead a rich and fulfilling existence). This concept will include certain things like IP addresses and binary math but the general philosophy behind subnetting is based in security (through separation) and displays how necessary subnetting and masking is for IPv4 networking. The term subnet and subnetting is sort of a generic term that encapsulates breaking the entire IP addressing scope into smaller divisions. To understand subnetting, we have to take a step back and understand IP addressing, binary math and the scope of the whole thing. Most people have heard of an IP address. In a sense, it is similar to a physical address (not a MAC address, a different topic for another time) that one may have associated a house or a business with. If you wanted to send something (or navigate) to a house or business, knowing the address is a good first step. There is not much difference between that and an IP address. 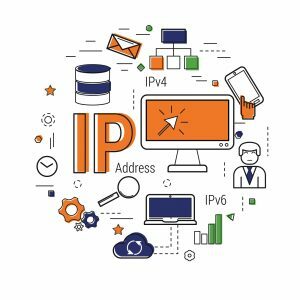 Every networked computer/appliance will have an IP address associated with it. Many of the IP addresses that most people are familiar with are private IP addresses. Public addresses (with DNS) are what enables us to surf the web for untold wonders and cat videos. Private addressing allows us to communicate with computers within a particular private subnet, typically for file sharing, providing services (Local mail server or print server), LAN gaming, etc. In terms of private subnets, going back to the physical address analogy, imagine a company having a PO Box that receives all of the mail for all of their employees. If you wanted to send a package to John Doe at that company, you would address it to John Doe and provide his PO Box number. Then, someone from the company would gather the package and deliver it to John Doe. You might not know where John Doe’s office or location is, you just know that sending a package addressed to John Doe with the PO Box will get the package to a point in which it will be distributed to John Doe. As such, a gateway would receive all traffic for all of its hosts and then distribute it to those hosts with PAT (Port Address Translation), which is sometimes referred to as NAT (Network Address Translation). Let the number up top represent the binary number (either 1 or 0) and the numbers below represent its decimal or base 10 (the number base system we are all familiar with and taught from an early age). If the binary number above is a ‘1’, then you simply add up the corresponding base 10 number to get the binary number’s base 10 value. Any number can be represented in binary with enough bits. There are some special rules, which will be discussed later, but the general idea is that an IP address cannot contain an octet that is outside of 0-255. So, something that looks like 192.168.1.300 would not be valid, nor would something like -192.168.-1.100. Technically, 0.0.0.0 and 255.255.255.255 fits the rules but you would never see anything assigned with those addresses. They are used for something else. If we need to go beyond the number 255 (which, you never will for an IPv4 octet), then you would just add another bit. The ninth bit would be 256. 2128 = 340,282,366,920,938,463,463,374,607,431,768,211,456. There would likely never be a threat to run out of addresses from that number which is labeled 340 undecillion. On smaller implementations (think small business/home use), our subnets are nice and clean. But, the subnets aren’t always nice and clean and it can help to break up addresses into subnets with just enough IP addresses. Confused? Understood. It will all be cleared up a bit next. Now, we may have 20 computers that we want to have direct communication with each other. We could break up some of those potential IP addresses and say that they can talk to each other without restriction but communication to any other address needs to go through some other process/filter to communicate. This is where we can use subnetting. Subnetting can break up this entire addressing scope into smaller networks. Going from left to right, the alignment will go from subnetwork definition to host definition where anything in the binary representation with a ‘1’ would define the subnetwork and anything with a ‘0’ would represent the host. What does this mean? This means that this IP address is in the subnet = 192.168.1.0 with subnet mask = 255.255.255.0. Shorthand (AKA CIDR, Classless Inter-Domain Routing), this can be written 192.168.1.0 /24 where the ‘/24’ represents the number of subnetwork bits active in the mask. 11111111 . 11101000 . 00000000 . 00000000 Equals: 255.232.0.0 and is invalid. All the active subnetwork bits (across all octets) are not consecutive. 11111111 . 11111111 . 00000000 . 00000001 Equals: 255.255.0.1 and is invalid. All the active subnetwork bits (across all octets) are not consecutive. 11111111 . 00000000 . 11111111 . 00000000 Equals: 255.0.255.0 and is invalid. All the active subnetwork bits (across all octets) are not consecutive. That subnet definition cannot be assigned to a host machine. When defining the amount of usable host machines in a subnet, we must always subtract 2: 1 x for the subnet definition and 1 x for the broadcast definition. As mentioned earlier, the IP address = 192.168.1.100 /24 is part of the 192.168.1.0 /24 subnet. So, any other machine can have an IP address in that subnet, with its own unique host number and it would be in that subnet and can communicate to another machine in that subnet without the need for a router (gateway). So, a machine that has an IP address that is 192.168.1.200 /24 would be in the same subnet. And because the subnet mask is /24, that means that the entire last octet can be used to define host machine – 28 = 256 – 2 = 254 usable addresses. (Remember, we subtracted 2 because 1 x is used to define the subnet and 1x is used to define the broadcast IP). IPs in that subnet could be assigned to a gateway (each subnet needs a gateway if it will communicate outside of its subnet, maybe a local DNS, and any other machine/host in that subnetwork). (2h1 * 2h2 * 2h3 * 2h4) -2 where each h is the amount of host bits per octet. Huh? Examples, here we go! We often see the subnet masks as “clean”, typically a /24, because that accommodates most networks and is just easier to work with. We may see something like /23 which would basically double the amount of usable hosts. Example 2 above, has 65,534 usable hosts. That is a big freakin’ subnet. You don’t see this utilized too often where the hosts will be mostly used but there certainly could be applications. As mentioned in a previous article, any host that wants to communicate to a host in another subnet needs a router. Inter-subnet communication only requires switching. In example 4, the example IP of 192.168.32.35 is in a different subnet than 192.168.32.67. If 2 x hosts with these IP addresses need to communicate, there would be a need for a router (gateway). Zero usable hosts?! Yeah, no good. You won’t see this as a subnet mask except in point to point links for WAN interface which uses no broadcast IP. As far as I know, it is not commonly used. DHCP (Dynamic Host Configuration Protocol) is our friend in most cases. It assigns IP addresses, subnet masks, gateway addresses and DNS for hosts that are calling for it. How does a host initiate requests for DHCP? Through a network broadcast! The DHCP server, whether router, firewall, Raspberry Pie or actual server tower, is listening for the broadcast. The host is all like, “Yo, I need an IP address so I can YouTube cat videos. Who can help?” and the DHCP server is all like, “Oh yeah! I can help you there. Pass me your MAC address and Ill pass back the network info.” DHCP is best for machines that can join and leave a network dynamically. Such as, cell phones, laptops, etc. Static addressing is also our friend. While MAC binding is an option for DHCP, sometimes setting a good ol’ fashion static IP address for certain hosts will guarantee that IP address will not change. They are good for servers, particularly DNS but not exclusive to that. There is a lot more to this and we will examine other aspects of networking in the future. Based off of this article, there is no need to scrutinize but stay safe and happy scrutinizing anyway! 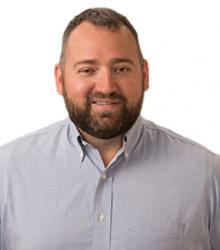 Ross Thomas is The SSL Store’s IT Manager, he is a regular contributor at Hashed Out.